12:05 AM BBT All feeds are on Dina who is blow drying her hair. 12:08 AM BBT Tamar is getting ready to shower. Dina tells her to use the shower on the right because Joey used all the hot water in the shower on the left. Feeds switch to Joey who is putting clean sheets on the bed in the 5th Ave. bedroom and Kandi who is also in there putting her clothes away that came back from being laundered. 12:12 AM BBT Joey is talking to Kandi about how hard it is when everyone is wanting to shower at the same time. Joey quotes the movie Coming to America "The royal pe*is is clean, your Highness." He tells Kandi that he cannot wait for the sequel that is coming out soon. He hopes they keep the movie grounded like the first one. 12:16 AM BBT In the 5th Ave bedroom, Kandi asks Joey if "she" was upstairs. Joey said that Natalie was earlier and that she was very controlled which is exactly how you want to approach it. WBRB. 12:19 AM BBT Joey, and Kandi are discussing how it is likely that both Kato and Tom will be sleeping in the HoH after the events of the day. Joey "He probably doesn't feel safe." 12:23 AM BBT Feeds went to WBRB as the mention of the publisher power caused Joey to hum and Kandi to sing "I've Got the Power" by Snap. Kandi jokes that today's music is drug induced. 12:28 AM BBT All 4 feeds are on Joey who is cutting his toenails in the 5th Ave. bedroom. Tamar comes in asking to borrow his Benadryl. 12:30 AM BBT Kandi and Dina are whispering in the WA. Dina tells her that Lolo and Natalie are telling her everything that Tom and Kato have been saying about her. Kandi says that she doesn't like that because now it benefits them to tell everyone what everyone said. Kandi "Why you tell me two weeks later what he said? Why didn't you tell me then? Sh*t irritates me." Dina asks if they need to talk to Ricky. Kandi says no, he is totally in cahoots with them, for sure. For sure. 12:34 AM BBT In the WA, Kandi tell Dina "This house is crazy and so is everyone in it." Dina says that she doesn't think she and Kandi are crazy. They are just treading water in the middle of it. 12:42 AM BBT All four feeds have been on Dina who is flat ironing her hair while Kandi was changing in the WC. Dina says that they are going to try to pull her upstairs. 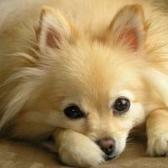 Kandi tells her that it is perfectly okay to say that she is tired after a long day and just wants to go to bed. 12:48 AM BBT All four feeds are on Tom and Kato playing pool in the upstairs lounge. Kato says that all this tension in the house has upset his stomach really bad. Tom says that this is not good for the show. Something will have to change tomorrow. People are going to have to be more cool. This is supposed to be fun. Tom "I wouldn't be surprised if this was broken into some major controversy." WBRB. 12:51 AM BBT Dina tells Kandi that she doesn't want to leave the WA alone because it is just so awkward in the house now. She complains that her skin is dried out because she has to use Irish Spring which is so strong, like men's soup. Dina says that she wants to go outside but when she opens the patio door, she sees the screen is down. She touches the screen and BB says Stop That. 1:05 AM BBT It is rather quiet in the house. Kato and Tom are up playing pool. The others are in bed or preparing to go to bed. 1:07 AM BBT Joey tells the ladies in the house that BB got them Melatonin to help them get to sleep. Tamar says that is BB saying "take your a** to bed, you don't know the spirit of sleep." 1:09 AM BBT All four feeds are on Kato and Tom preparing the HoH bed for sleep. They are dividing the bed in half by lining up all the throw pillows in the middle. Kato is going to be sleeping upstairs with Tom. Tom says that he would rather not tell people why they are doing this because, he feels bad, but it is because WBRB. 1:15 AM BBT Kandi is in the WA waiting on Dina. Dina doesn't want to walk to the other part of the house alone because she says it is way too awkward. Tom and Kato keep trying to get her to talk to them. 1:22 AM BBT All four feeds are on Joey asleep in bed. The feeds then switch to Kato and Tom in the HoH. Kato says he will be back soon to go to bed. Tom tells him to bring his mic so they can have their Bert and Ernie chat. Tom tells us that he and Kato are having a slumber party upstairs tonight. 1:27 AM BBT Kato and Tom are in bed in the HoH and Tom talks directly to those watching the feeds. He calls it their Bert and Ernie chat. Tom says that Kato has a big day tomorrow. He has to win the HoH so that they can keep this room. Kato says if he wins it, BB doesn't even have to clean it. They still have about 5 days left on that cheese platter. Kato says that yesterday was such a good day and everyone was up there having wine and cheese. Today...WBRB. 1:32 AM BBT The feeds return. All four feeds are on the hotel bedroom with the lights off. Tamar, Natalie, Lolo and Ricky are all in bed. Tamar complains that she is hot. She whines using a childlike voice "I'm hot." Lolo is trying to get the fan to turn on but the blades won't rotate anymore. 1:36 AM BBT The Lolo, Natalie and Tamar are talking about the other HG's bed. Dina makes hers up like a fort. Joey's sheets are so nice they looked like they are ironed flat for him. The girls tell Tamar that he gets his sheets back the same day he sends them. Tamar says no, I can't have dirty sheets now. That's over. Natalie "But Tamar, you haven't changed your sheets yet." Tamar "I changed them some. Kandi hasn't changed hers at all. She is embracing the spirit of the nasty." 1:37 AM BBT Ricky, Lolo, Natalie and Tamar are laying in the bed in the dark. They are discussing Kandi. Tamar asks if they think Kandi wants to stay because wants to stay or does she want to stay for pride. Ricky says pride. Natalie says she really likes Kandi. She just doesn't know the game. 2:00 AM All the HGs are in bed with the lights off. 4:02 AM BBT Lolo wakes up and puts on some shoes. She heads to the WC and goes back to bed afterwards. 6:35 AM BBT Tamar wakes up to use the WC and then heads back to bed afterwards.This likely wakes up both Ricky and Natalie. 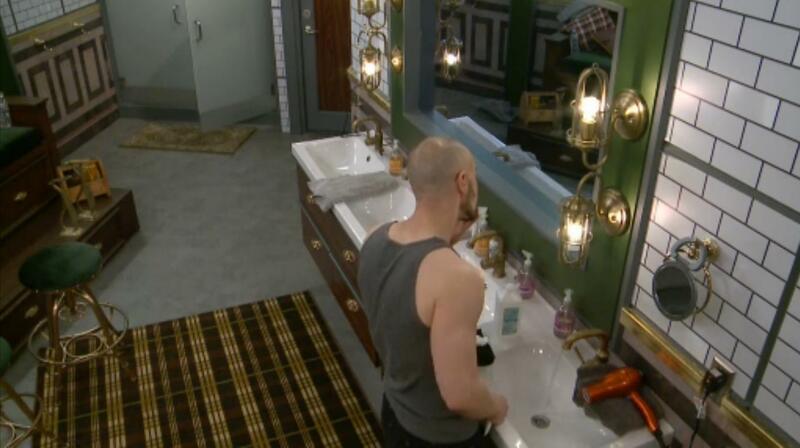 As soon as Tamar heads back into the BR, Ricky gets up to use the WC also. When Ricky heads back to the BR, Natalie gets up and heads to the WC. At 6:47 AM everyone is back in bed. 8:00 AM BBT All the HGs are in bed with the lights out. 9:05 AM BBT Joey continues to primp in the WA with the blow dryer running. Everyone else is still in bed. 9:17 AM BBT Feeds 1 and 2 show the WA. Joey is in the WC and has left the blow dryer running. Feeds 3 and 4 are on Tom and Kato asleep in the HoH. 9:34 AM BBT Joey is the only one up. He is in the KT making coffee with bottled water. 9:40 AM BBT Feeds show WBRB. Is it time for a BB wake up call? 9:41 AM BBT Feeds return. No wake up call yet. 9:55 AM BBT Tom and Kato are both awake now. Tom goes down to grab himself a cup of coffee. Joey is in the KT eating breakfast. 10:17 AM BBT The feeds return. BB calls for Dina to put on her microphone. Joey calls out "This one bathroom is horse sh*t. Twelve people, one bathroom. Great TV." 10:23 AM BBT The HGs are awake. Lolo, Natalie and Ricky are in the bedroom talking about how the atmosphere is one of facing a rival team in a sport's event. Lolo says no, because at least you respect the rival team. Ricky starts to discuss how Tom and Kato got caught looking stupid and the feeds switch. 10:25 AM BBT Natalie "Everyone is on the same page for the vote tonight, right?" Lolo says yes. Tamar is silent. Natalie "Tamar?" Tamar "Uhm yes, we will talk about it tonight. I had a nightmare." 10:28 AM BBT Joey tells Dina and Natalie in the SR that he is in the mood to just wreck some sh*t today. Everyone is going to think he has gone crazy. 10:30 AM BBT The HGs are up doing ADL's. 10:43 AM BBT BB is calling the HGs into the DR this morning. Tom thinks BB is going to tell them all to try to relax and have some fun. The show isn't supposed to be this tense. Meanwhile Joey tells Ricky that he can't wait until 5pm because he just has to know what is going. He was way too wound up to stay in bed this morning. 10:48 AM BBT Tom and Kato are up in the gym. Kato is on the elliptical. Tom is using the hand weights. Tom tells Kato about his conversation with Allison, executive producer. "I think they are worried about.." WBRB. 10:59 AM BBT Lolo and Joey are in the WA. Lolo is explaining to him about how the comp involving days in the house work usually works. Example "Which day was Mooch's news?" 11:21AM BBT Tamar was doing her makeup on all 4 cams. We now have FOTH. 11:31AM BBT Tamar and Joey talking in the WCA. She wants to know what BB is going to do about Kato (referring to the alleged Cleo comment) We get FOTH. 11:35AM BBT Tom and Kato talking in HOH about how long they have in the HOH BR before they have to leave it. Tom says that they need to be real quiet today. Lolo, Natalie and Ricky talking about sports injuries. 11:42AM BBT Natalie talking to Ricky and Lolo about how wrestling isn't "real". They are in their BR. While it is really physical, no one is actually trying to hurt anyone. Tom in the KT. 11:49AM BBT Tom and Kato in the HOH BR. Talking about Kato winning HOH tonight. Tom tells Kato that if Dina, Tamar, Kandi win, they can explain the best thing to do is to put up Lolo and Ricky on the block. 11:57AM BBT Lolo, Natalie, Ricky and Tamar talking about the vote. Tamar doesn't want to vote out Kandi because she is worried about consequences in real life. 12:05PM BBT Kandi and Joey in the KT. They are talking about staying out of all of the side convos today. Kandi says it is not worth stressing about it. Joey says you can't change anything. 12:10PM BBT Kand comes to the HOH BR. Tom tells her that he thinks she will be fine. Tom wants to talk to Tamar. He explains his plan for wanting the new HOH to put up Ricky and Lolo. Kandi explains to them that Tamar won't speak to them. Kandi says if she wins HOH then she will put the two of them up. 12:18PM BBT Kandi and Dina in the KT getting food. They briefly talk about the power and Tamar's vote. 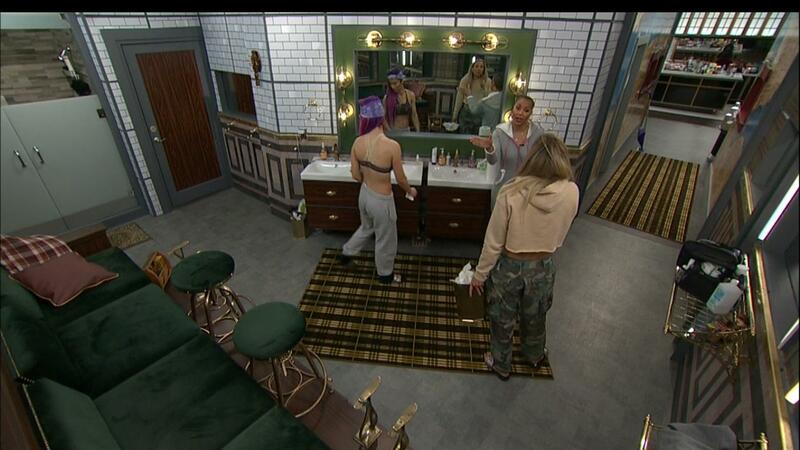 12:25PM BBT Natalie is applying setting spray to her face in the BR and discussing what it does with Ricky. In the KT, Dina and Kandi prepping food. Tom is scurrying around trying to secure last minutes votes and to ensure he and Kato have a future in the house after this eviction. 12:30 PM BBT Tom is in the HoH with Kato. Tom tells him that he just spoke to Dina. She is completely on board with working with them after this eviction. He just made the long term plans a little more clear. Tom is going to emphasize this during the HoH comp by cheering hard for Tamar, Kandi and Dina so they know they have his support. 12:37 PM BBT Ricky is reading the Bible in bed. Lolo and Natalie are getting ready for the live show. Dina and Kandi are cooking in the KT. 12:43 AM BBT It is pretty quiet in the house at the moment. Feeds 1 and 2 are on Tom who is playing the keyboard on the loft. Feeds 3 and 4 show Kandi, Joey, Natalie, and Dina in the KT. The girls are eating eggs and Joey is making asparagus. Lolo is called to the downstairs DR. Joey is being called about by BB frequently because of his constant singing this afternoon. 12:46 PM BBT Joey is telling Kandi and Natalie that vitamin water is deceivingly bad for you. It is full of sugar, like 32 grams. It has a ton of carbs too, and they aren't even good carbs with calcium. They are useless carbs. 12:53 PM The HGs expect that they will get put on lockdown in about an hour or so. Kandi says they better fix the sink before they get put on lockdown. How are they supposed to clean with a broken sink? 1:00 PM BBT Natalie goes into the SR. Does a little dance while pointing to the camera and saying Day 18, Day 18. She says I love you Jonathan before rejoining the others in the KT. 1:10 PM BBT Tamar and Lolo get into a minor argument in the KT about the cost of food. Lolo had put in a request for Sea Bass. Tamar tells her to tell BB they only need a couple servings because BB will give them like 14 that costs like $300 dollars. Lolo defends her expensive food request by saying that Tamar's lamb is more expensive. Lolo and Tamar then argue over whose food costs more. Lolo walks away angry saying she rarely puts in any food requests all and Tamar looks to Kandi confused. "How did it get that way?" 1:20 PM BBT Most of the HGs are getting the house ready for the live show. Natalie is cleaning the mirrors. Ricky is sweeping. Kandi is cleaning the KT. Lolo is mopping. Joey is vacuuming. Tamar is in the SR adding food to the list. 1:25 PM BBT Lolo goes to vent to Natalie in the WA saying that Tamar is making a big deal out of her requesting sea bass. It is rude when Tamar orders expensive grass fed lamb chops. Tamar hears her and goes into the WA as well. Lolo accuses Tamar of attacking her. Tamar defends herself saying she never attacked her. Lolo yells at Tamar and tells her that is extremely rude and hurtful. She almost never puts anything on the list and others put stuff on there every 3 days. Lolo walks away cussing as she goes saying that Tamar never lets her explain anything. WBRB. 1:35 PM BBT Feeds are still down after the argument between Tamar and Lolo. 1:45 PM BBT Feeds are still on WBRB. 1:57 PM BBT Still no feeds after the argument between Lolo and Tamar. 2:03PM BBT We have reels. 6:09PM BBT: The feeds are back with Tamar and Kandi whispering in the PBR. Tamar tells her to trust her and Kandi says she doesn't agree. Dina comes in and puts her robe over her dress so she can take the dress off. 6:08PM BBT: Lolo and Natalie are eating while sitting at the table with Ricky. They wonder if the HOH will be non-physical, and that then ethey can wear anything. 6:09PM BBT: Tamar and Dina talking in the PBR, Dina is afraid that Tom and Kato are now going to come for her. Tamar says adamantly "They're not". 6:10PM BBT: Kandi tells Dina to try to win, that's all she can do. Kato comes in and asks the two if they want to do a study thing in case the comp is mental. 6:15PM BBT: Kandi starts to unpack so she can change her clothes. Lolo wants to change as well. 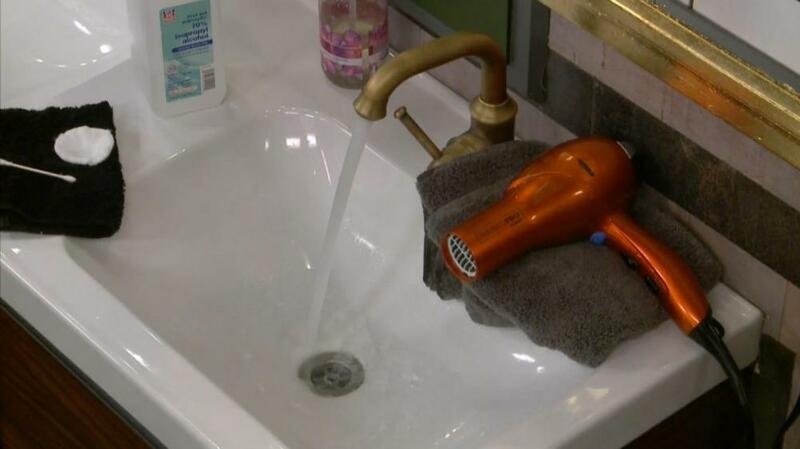 6:20PM BBT: Dina went through all of Joey's toiletries that he left behind to see if there's anything they can use. Kato hovers. 6:23PM BBT: In the BR, Lolo and Natalie hold hands and pray, while kneeling. In the KT, Tamar tells Ricky that she's glad that he's here and that they met. 8:20PM BBT: Feeds are back and Tamar is wearing the HOV key. She is happy screaming and the others are congratulating her. 8:21PM BBT: Tom and Kato are talking back in the BR saying that they thought Kato almost won. Tom tells Kato to appear magnanimous because that's what the cameras will see, and that he's almost happy for them because they're happy. 8:22PM BBT: Tamar says thank you to God, and that she's glad he's on her side. 8:26PM BBT: Tamar is happy to be called to the DR and preps her makeup in the BR, and grabs her stuffed animal and scarf. 8:30PM BBT: Ricky, Lolo, Tom, Kandi and Kato are eating chicken in the KT while Dina scurries around putting stuff away. 8:34PM BBT: Ricky asks if she's going to work out tonight. She says yes, but probably will be called to the DR in a bit. 8:43PM BBT: Dina says that the chicken isn't hot and wants to put it in the oven. They all say together "not in the plastic!" as if she's a child. She seems annoyed in general. 8:49PM BBT: Ricky is telling the others about his older cars. One is a red '82 500SL hard top and convertible that he likes to ride around Venice. 8:51PM BBT: Dina is trying to pick the chicken off the bones and says that she gets them all the time for her dogs. 8:55PM BBT: Tom tells the others in the KT that he's going to miss the HOH music most. 8:58PM BBT: Tom and Kato head upstairs to play pool. Kato keeps saying "head up". He said everything changed in a second and now he's about to go up on the block. Tom says that the show will be dramatic and that resonates and worth more than $250k. 9:01PM BBT: Natalie has nicknamed Tom and Kato Tweedle Dee and Tweedle Dumb, and says "is that mean?" Ricky says no. Kandi and Ricky head up to play chess. 9:03PM BBT: Natalie goes into the lounge where Lolo is tweeting "Tay will be good at this HOH comp because she's good at pointing out people's flaws", and then says it's a little shady. 9:06PM BBT: Natalie and Lolo confirm that Frick and Frack are going up, that Tamar will stick to the plan. 9:21PM BBT: After playing pool for a bit, Tom leaves to go lay down in his bed with his sunglasses on. All cams are on him. 9:26PM BBT: Kato joins Tom in the BR. They decide to try to be funny in defeat. THey are bothered by the celebration of the others, that they somehow believe that they're bad people for lying. Tom says they did not lie, but that the others lied. 9:28PM BBT: Kato tries to say Tamar's name...."tayt, tah, tater tot, whatever it is" type train of thought. 9:30PM BBT: Tom thinks that there's a way to avoid being on the block if they can get Kandi to get in Tamar's ear about them being a goofball alliance, instead of athletes that are gunning for anything in their path. 9:34PM BBT: Dina, Lolo and Natalie are in the lounge talking about how Tom/Kato didn't look at them as teammates, just votes. And that they're alpha females, so there's that. 9:36PM BBT: Natalie tells the other girls that she wants a power crunch, let's all go to the SR - so they head over there. Lolo wants M&Ms. Natalie is happy to see some sugar free Monsters in there. 9:38PM BBT: Lolo says she feels bad for the guys because they are changing their energy. Natalie says no way, only because they are no longer in power. They'll give them a chance to apologize after they're out of the house. Natalie says to the cameras "America, you're dealing with two alpha queens". 9:41PM BBT: Tom and Kato give shout outs to their girlfriends and how they're going to hang out after the show, and laugh that all of their predictions in the house were wrong in the game. "At least we didn't go first"
9:44PM BBT: Dina and Lolo play pool upstairs. Kandi and Ricky continue to play chess. Natalie plays the keyboard. 9:47PM BBT: Tamar is out of the DR and was bummed that Joey was gone because there was nothing cooked. She was happy chanting about being HOH. 9:52PM BBT: Tamar is fixing lamb chops in the KT while Ricky keeps her company. Back in the BR, Kato is still beating himself over not buzzing in before Tamar, by one second. 9:56PM BBT: Tamar tells Natalie and Ricky that Tom and Kato need to be put up side by side, and have them pack their sh*t. She can't wait to get her letter. 9:58PM BBT: Lolo said that God came through for sure. Lolo and Natalie are in the lounge while Lolo does twitter. Ricky and Kandi are playing chess. Natalie calls Tom rude, and they mention some posters that were in the competition. Natalie says they have to win the veto to keep themselves safe. She says the alliance of five was destroyed over the power. 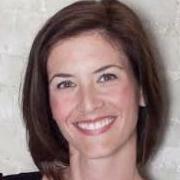 Natalie blames Tom and Kato for flipping the script because she did not use the veto. She is unhappy that they wished her good luck before the HOH competition. Lolo says today wore her down because she is “over it”, and “she” does not believe I like her”. A few minutes and feeds come back to the sky walk. Tom and Kato playing billiards and no game talk. Kato leave the living room and Tom goes to the bedroom and is sorting through his duffle bag. No one else is in the room. He settles himself on the bed and relaxes, still wearing his sunglasses. All cameras are on this riveting scene. At 9:20pm cameras 1 and 2 switch to the lounge. Natalie, Dina and Lolo are talking about getting in the hot tub, Natalie is egging her on to talk about Tom. Dina says she hasn't seen it, and does not comment. Lolo claims she was this close to Tamar, she doesn't know what she would have done if she had won. She says she decided to let someone with kids win and it worked out in the end. --[granny knows bull hockey when she hears it but I digress]. They continue to talk about the competition. Kato joins Tom in the bedroom. Tom says the whole theme of the show is to pit people against one another and he is still having fun. He says if Kato had won they would just go the HOH room and be funny. Kato says he lost, but the celebration scuffed at him a little. Tom says the others believe that Kato and him are bad people, that they lied. Tom says the celebration was not in sportsman like spirit. 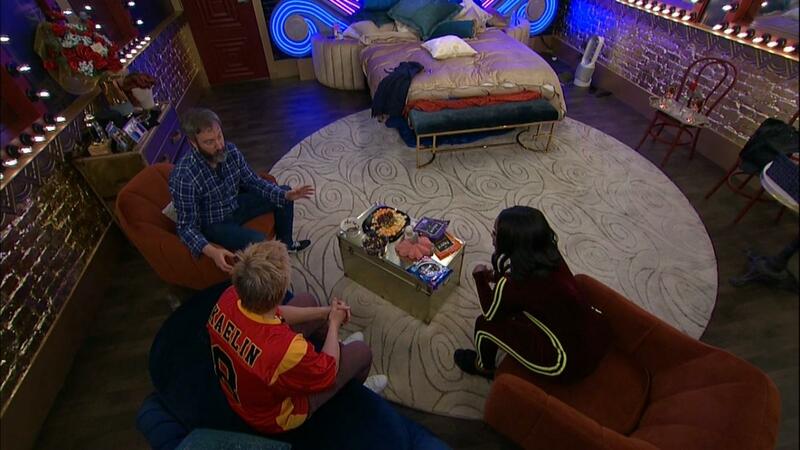 Tom tells Kato not to worry about what Tamar and the others are saying, that CBB cuts away from all that crap, they want it to look like they are having fun. [ohhhh Tom]. Tom says they should go to the HOH room and congratulate Tamar, and he hopes that Kandi will make her realize that she should move against Natalie and Lolo to save herself later. Kato says he thinks Ricky will go after Natalie and/or Lolo. He thinks Tom and himself will be on the block. Tom says they have always been wrong, so just wait and see what happens. Tamar can nominate them, or two of the athletes who are gunning against everyone in the house. He says they can talk to Tamar, he is not ready to quit the game yet. Tom agrees that there will be a few more scenes like that. He mentions that Tamar and Lolo were fighting about sea bass earlier today. He tells Kato that one of the two of them may be home in a few days on the sofa. 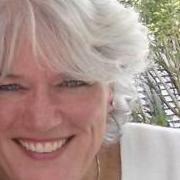 Tom says Dina will not make it long after him and Tom are gone. He says on the last day he can meet Kato for a beer, then come and hang out with the producers. He says the money is nice to win, by why not leave a lasting impression. Kato gets called out for his microphone and realizes it is not even with him, he has been on the bed microphone the whole time He jokes as he leaves to get it. Kato tells Tom it is too early to talk to Tamar, let her enjoy winning He tells Tom Tamar will avoid him anyway. Both of them agree they are done in the game, and will meet outside the house after they are evicted. Kato says he will never see these people again with the exception of Tom and Dina. He tells his girlfriend he will see her Monday or Friday. Tom tells his girlfriend hello, Kato tells both girls they are going to go to Tom's after the show. Tom says going first would be a drag. They count remaining players and laugh about not doing as well as they could have. Tom expects that Natalie and Lolo will be knocked out shortly after Kato and himself are evicted. He says they should all be thinking what the best end would be for them. Tamar comes out of the diary room, singing HOH room. She is very excited. Tamar goes to the storage room, she is checking the fridge, it looks like she is going to cook. She takes lamb chops to the kitchen and asks if anyone else wants some. Tom asks Kato if he wants to go do weird late night stuff, Kato declines, and Tom says he may go put on hats and make mashed potato piles like Richard Dreyfus in Close Encounters. Kato seems very upset at the way Tamar's win was celebrated by the others. Tamar, “pack. Pack your s^^t” She says she is tired of it. Natalie says she can't wait to see Tamar's letters. Ricky is listening to the conversation. Lolo comes to the kitchen. General chatter, nothing new, no plotting. Kato and Tom are headed to the kitchen. Tom stops by and tells the people in the kitchen that they should smile and laugh the last few days. -very cold reception.--He goes upstairs where Kandi and Dina are playing billiards. Ricky comes up and hands something to Tom. Tom thanks him and Ricky leaves. Tom tells Kandi the others are upset because he didn't want to be in their alliance. Kandi and Dina end their game and Kandi offers to play with Tom. He accepts. Ricky and Natalie are in the bedroom, Ricky is upset because he believes Tom and Kato were doing a show in the HOH room that made fun of the house guests. He decides to discuss wanting an apology from Tom and Kato with Tamar. Ricky comes back to the bedroom with Lolo, they are whispering a little. Ricky tells her to take the positive momentum and move on. He specifies everybody and mentions a hug. He says he gave Tom a fist bump upstairs [what I saw him give Tom was that fist bump] Ricky thinks they believe Tom and Kato believe everyone is upset because they tried to back door Ricky, and maybe they need to know it was because of the way they behaved. Again Lolo expresses her happiness that she did not win the HOH competition. She has no one to get a letter from and the rest of them do. Ricky tells her the joy of winning is more than just that. 11:01 PM BBT Tom and Kato are in the BY. Tom updates Kato on the last hour while he is in the DR. The rest of the house has been very unsportsmanlike. Tom tells him not to engage Ricky because Ricky has it set in his head that they bullied the others and need to apologize, despite that all the cameras will show the truth, they did bully anyone. 11:07 PM BBT Tamar yells out to BB asking for her HoH room. "I only got 12 hours, quit your playin". 11:28 PM BBT Tom is alone in the lounge and talks directly to us. He has learned that there are some people in the house where any form of conversation will be turned into an argument with an intensity like he has never seen before. They argue like life and death decisions are dependent on it. Meanwhile Tamar continues to fuss to the others that her HoH room is not ready. 11:37 PM BBT Kandi is in the WA removing her makeup. She tells Kandi her makeup (Tamar's) looks like she has been on the pole for 3 days. Meanwhile Tom and Kato are singing and dancing in the lounge saying "No more Snail's McGails, No more Snails McGails. If you want Snail's McGails, you are out of luck, because if you want Snail's McGails, Kato and Tom are fu**ed." They go to the KT singing "Kato and Tom are screwed, Kato and Tom are screwed, I don't want to be nasty, I don't want to be rude, but Kato and Tom are screwed. Kandi and Dina are laughing up at the pool table. Kato sings that Dina used to be a friend of mine. Dina sings back "Kato used to be a friend of mine, until he aligned." 11:50 PM BBT Kato and Tom are in the lounge. They are going to wait up for Tamar's HoH room reveal and then go straight to bed. Meanwhile Dina and Kandi are whispering at the pool table. Kandi tells her to stop being paranoid. Dina tells her that Lolo and Natalie have been screwing them all along. And now they have Ricky. Dina and Kandi agree that they need to win because they are likely safe this week with Tamar but not after that. Kandi "I don't think she will put me on the block." Dina "You are only here because of what can happen outside the house."